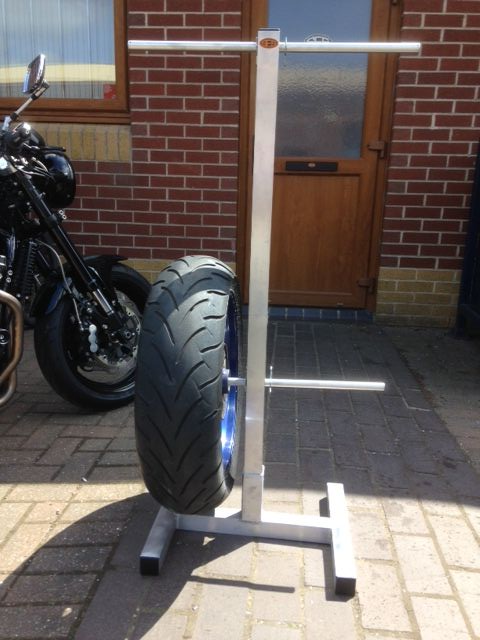 Store your spare wheels in the pits/paddock or garage safely using our compact, lightweight, detachable wheel tree. Made by us here in Norfolk from 45mm 6082 aluminium box section (3mm wall thickness), with solid alloy crossbars. It is NOT polished in any way, just comes in a natural alloy finish. 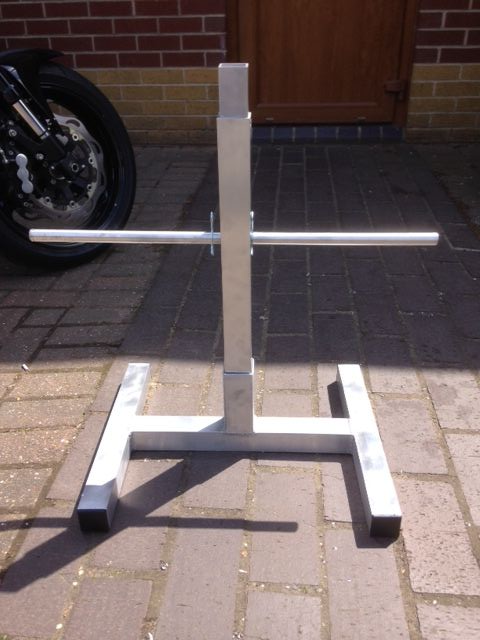 Assembled in seconds, the wheel tree will hold upto 4 wheels, both fronts & rears. 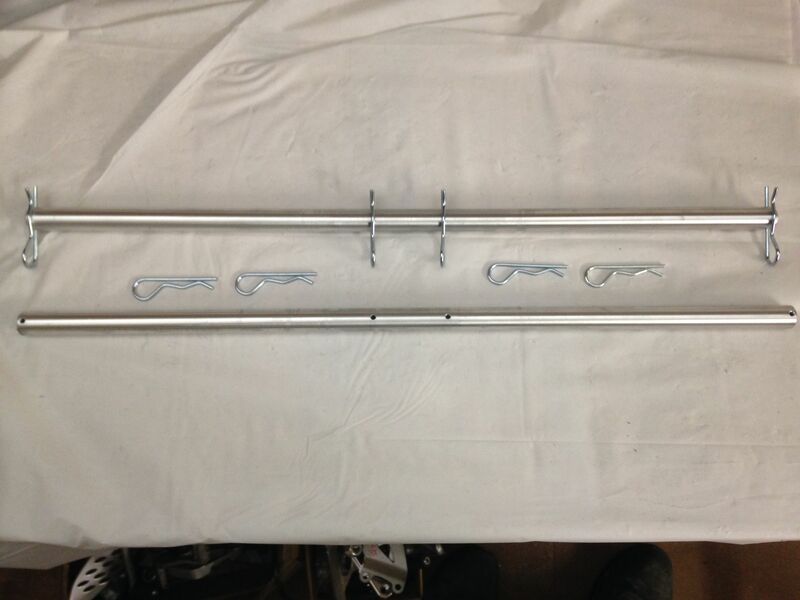 The wheels are secured to the crossbars with the R-clips. Tyre warmers can be fitted (not supplied). The upright now comes in 2 sections that slot together, making it easier to ship & store in one box. 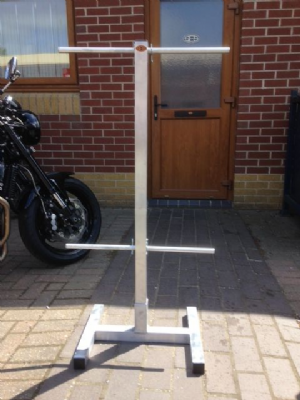 Assembled dimensions: Overall height = 1200mm. The standard version comes with 19mm dia crossbars, which suit most modern bikes of 400cc & over. 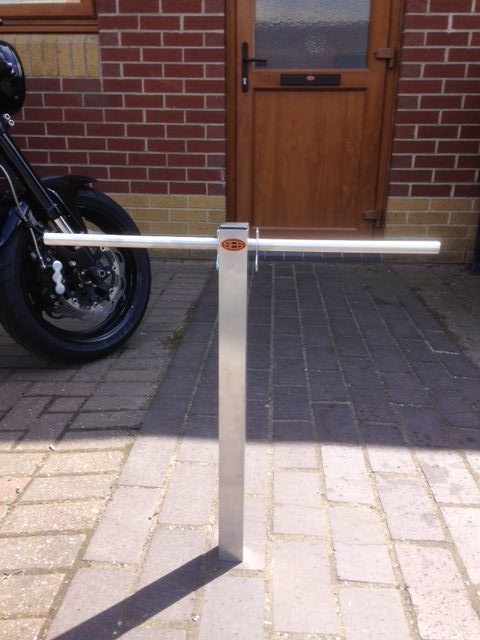 We offer other size crossbars to suit smaller bikes (Note: there might be a slight delivery delay on these). The box it all comes in measures approx 620mm x 410mm x 230mm. Total weight is approx 5.5kg.